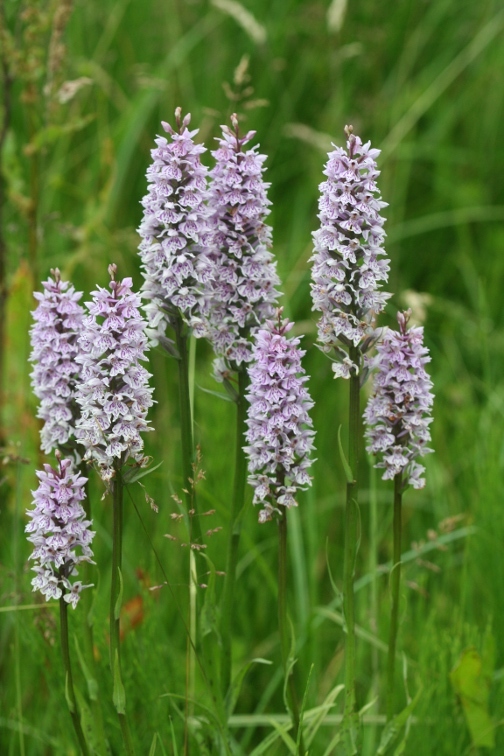 This may be the most common British orchid, but it is still rare to see it in our intensively farmed countryside.Its elegant spikes light up old grasslands from early June. Wildflower meadows are not complete without it. 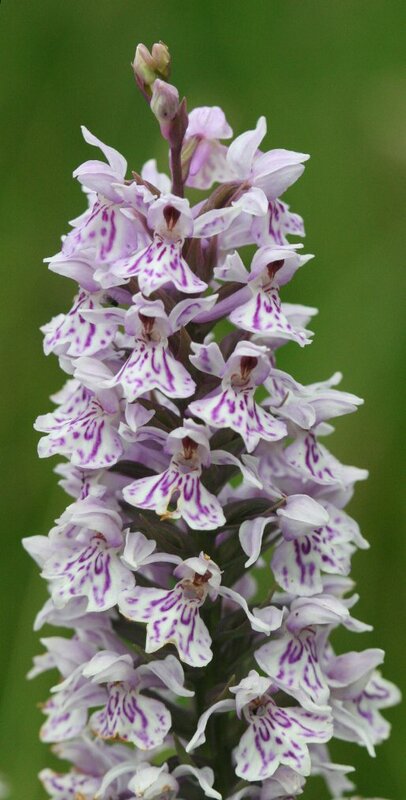 Growing to 50cm, the flowers are pale to deep pink with purple loop and dot markings. A winter dormant species, easy to grow in cultivation. Full sun or partial shade in a short or long grass wildflower meadow, border, raised bed, or container. Habitats include calcareous damp meadows, downs, woodland rides, road verges, roundabouts, sand dunes, industrial sites and even lawns. The purple spotted leaves appear in Spring. Flowers are very variable in colour and patterning; ours are usually deep pink with purple markings. we have a very limited number available to sell from those that have propagated themselves in our meadow over the last 20 years.